"Helping you prepare today for a lasting tomorrow"
F5 Enterprises, LLC offers an array of services with a focus on brand building and brand empowerment at rates small businesses can afford. 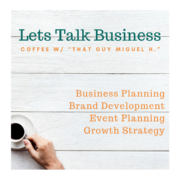 If you are starting a small or expanding a small business, planning an event, or launching a new career or just need our services, we would like to be your partner. Please take the time to review our products & services and then contact us to schedule a consultation when you are ready! When you are inundated with the day to day operations, or maybe building a new business or product, sometimes defining who you are and what you do to potential customer is challenging. We understand the challenges you face and understand how to help you separate yourself from the pack (the pack = your competitor); From strategy, planning and even coaching we can support your business needs. F5 Enterprises, LLC is a national custom branded apparel provider, offering screen-printing, transfers, embroidery and direct-to-garment printing on a wide variety of apparel and promotional products. We offer high quality products, great prices, and unmatched service to an array of customers regardless of size, and have been known to service a few Fortune 500 companies, local businesses, college & Universities. You Think It, We Design It and Print It. Affordable Business printing you can trust. Now servicing Ohio, Kentucky, Indiana, Tennessee and beyond! We are a quick, reliable and can drop-ship any where in the North America. We offer an array of offset and digitial (full color) print solutions for your business and can use your existing designs, design it for you or you can pick from some of our stock layouts. No matter what if You Think It, We Can Print It! F5 Enterprises, Photography By MiguelH., focuses on the personality of his subjects not the props and environment around them. Our professional photography services can be customized to fit your needs regardless of most budgets and needs. We service the Mid West, Kentucky and Tennessee. F5 Enterprises, LLC provides affordable high quality video development services that can be personalized to fit your needs. We offer and array of branded, non-branded Ad Specialties and Promotional Products. From employee incentives, customer appreciation, tradeshow give away, and but limited to corporate gifts, we can provided you with access to over hundreds of thousands of products that will make your next branding effort a success. Click here to visit our F5 PROMO SITE or simply contact us! We create and manage responsive branding campaigns that evoke lasting results, from Brand Development, Identity Programs, Signage, Product Development, Trade-show Booth Displays, Graphic Communications and more.